Kinesio Tex Tape® supports muscles in movement while allowing full range of motion. 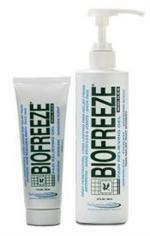 Increases blood and lymph circulation reducing pain and inflammation. 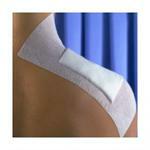 Latex free, high grade cotton and elastic provide patient comfort, air-permeability, and flexibility. 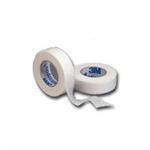 Durable, long-lasting—stays on comfortably for three to five days. 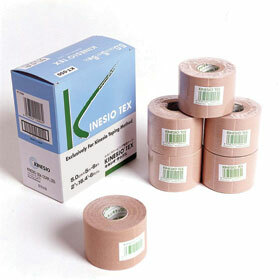 Water-resistant fabric rolls wick away moisture, allowing patient to bathe or swim. 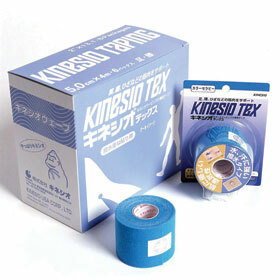 Kinesio Tex Gold Tape® Features the original wave pattern adhesive design. Supports muscles in movement while allowing full range of motion. Latex-free, high grade cotton and elastic. 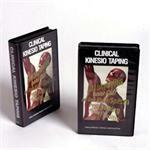 Clinical Kinesio Taping 41 minute instructional DVD on taping techinque applicatons. Illustrated Kinesio Taping by Kenzo Kane. 107p. 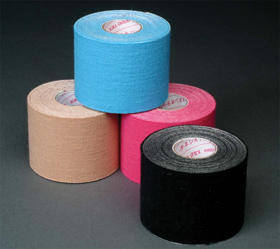 manual for taping muscles.